Peer-to-peer lending activities in Singapore continue to gain traction, as the leading P2P lending platform in Southeast Asia – Funding Societies – exceeded S$200 million in crowdfunded SME loans as of Aug 14. This figure had doubled from the S$100 million in SME loans achieved by Funding Societies earlier in January. “It took 30 months to achieve our first S$100 million and 6 months for our second S$100 million. But the industry is still nascent. We’d continue to focus on serving SMEs’ and investors’ needs,” said Kelvin Teo, Co-founder and CEO of Funding Societies. Funding Societies’ investor base had also increased 87.5% to 75,000, a testament to the growing demand from local investors for P2P crowdfunding loans to diversify their investment portfolio. Funding Societies provides business financing to SMEs through its digital marketplace platform, which matches retail and institutional investors to SMEs. Businesses benefit from the service as they are able secure loans from S$5,000 to S$2 million within a short period of time. On the other hand, investors get to enjoy returns of up to 14% per annum with a starting investment amount of just S$20 per loan. Part of Funding Societies’ success lies in its low default rate of 1.5%, one of the lowest in the region. 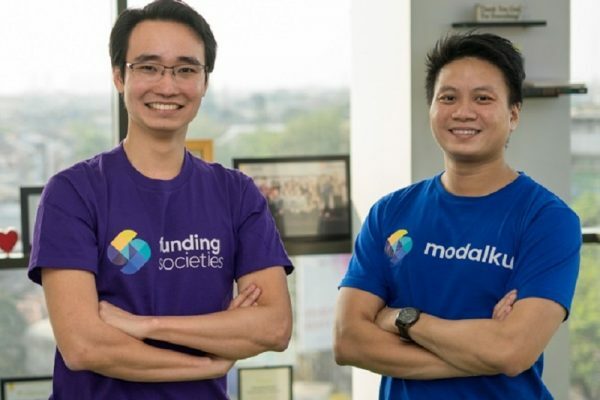 Funding Societies has raised US$25 million in its recent Series B funding round, the largest for a peer-to-peer lending platform in Southeast Asia, led by SoftBank Ventures Korea. The group has been recognised as one of the “Best 50 Companies to Work for Globally” by Silicon Review, and won the FinTech Award by the Monetary Authority of Singapore (MAS). Its Indonesian unit Modalku was also the first and only Asian startup to receive the Global SME Excellence Award from the United Nations’ ITU Telecom in 2017. At present, cash flow management issues remains an ongoing problem for many local SMEs. DP Information Group’s SME Development Survey has found that over 35% of SMEs in Singapore face finance-related issues in 2017, an increase from the 14% of SMEs who faced the same problem. At the same time 81% of Singapore SMEs also face delayed payments from their customers, a whopping 67 percentage point increase from the year before. To address those problems, Funding Societies has created a number of innovative flexible business loan solutions including FS Bolt, a mobile app-based loan for micro and young businesses, property-backed secured loans, and an enhanced version of invoice financing where the tenor is extended up to 120 days for debtors with a good track record. The P2P lending platform was also the first FinTech firm in Singapore to adopt MyInfo under GovTech’s initiative, which simplifies the SMEs’ loan application process.